There were many butter-oholics out there that were likely very disappointed when medical experts started to warn against the dangers of saturated fats. These fats, now routinely called the “bad” kind, have been all but banished from our diets. No longer do we spread butter on our toast in the morning, or smother our vegetables with a tasty coating at dinner. But is avoiding butter, cheese, and red meat—all foods high in saturated fat—necessary? A new study says it’s actually okay to eat them in moderation—they won’t hurt your heart. This advice comes from a team of scientists based at Croydon University hospital in London, U.K. The London researchers would like to bust the myth that all saturated fat is bad for your heart. 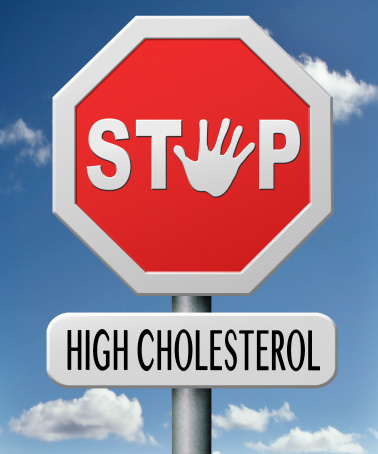 According to the researchers, statins are being overprescribed in the effort to keep cholesterol levels down in everyone. But these statins, the researchers say, are causing adverse side effects disproportionate to any benefits they may be imparting to the heart. Combined with this is the fact that removing all saturated fat from our diet has actually increased the risk for heart disease. Recent quality studies have not shown a link between saturated fat intake and cardiovascular risk. On the contrary, some saturated fats have been found to be protective. It all depends on what sort of foods contain the saturated fat. Dairy products like yogurt and milk contain saturated fats, but they also contain vitamin D, calcium, and phosphorus. These three nutrients are needed for a healthy heart as they play a role in regulating blood pressure. When you cut these foods out of your diet, you lose these heart benefits. As for red meat, it hasn’t actually been linked to higher rates of heart disease. However, processed meat is still a no-no in the diet as it has been shown to up the risk for both heart disease and diabetes. Nor are low-fat foods necessarily heart-friendly. If these foods contain a lot of sugar, as many of them do, they exert negative effects in the body by screwing up blood sugar levels. Diabetes is a known risk factor for heart disease. Even low-fat cheeses are not always a healthier option. Instead, moderate amounts of normal-fat cheese should actually usher in some heart-boosting effects. Ideally, you’ll want to follow a Mediterranean diet which emphasizes olive oil, fruit, vegetables, fish, and nuts. Nuts contain saturated fat but have been proven in numerous clinical trials to benefit the heart rather than put it at risk. The researchers have estimated that a Mediterranean diet may be three times more effective at preventing further complications in those with diagnosed heart disease than taking statins. Of course, you still need to stay away from trans fats! Trans fats are found in baked goods, fast foods, and even margarine. Boseley, S., “Butter and cheese better than trans-fat margarines, says heart specialist,” The Guardian web site, Oct. 23, 2013; http://www.theguardian.com/lifeandstyle/2013/oct/22/butter-cheese-saturated-fat-heart-specialist, last accessed Nov. 14, 2013. “Butter And Cheese Not Bad For Heart Health: Study,” HuffPost Living Canada web site, Oct. 23, 2013; http://www.huffingtonpost.ca/2013/10/23/butter-and-health-_n_4150426.html, last accessed Nov. 12, 2013. Tricia, Y., et al., “Regular Consumption of Nuts Is Associated with a Lower Risk of Cardiovascular Disease in Women with Type 2 Diabetes,” J Nutr. July 2009; 139(7): 1,333–1,338.